In my first article on foreign policy, I discussed normative foreign policy in the context of the United States Constitution. In the second article, I focused on a specific aspect of foreign policy when I posited that the United States should diplomatically recognize Liberland. In this article, I discuss “foreign policy” in a stateless society: “AnCapistan,” if you will. What would foreign policy look like in a territory with no government? To someone yet infected with vestiges of statist philosophy, the question is absurd. Such a one may believe foreign policy is the exclusive province of governments. Strictly speaking, in current political science parlance, this may be true. Britannica defines foreign policy thus: “General objectives that guide the activities and relationships of one state in its interactions with other states.” In the absence of a state, this definition takes us nowhere. However, practically, an individual can engage in all the usual foreign policy domains: diplomacy, trade, military action, and humanitarian action. Diplomacy on an individual scale is probably the most straightforward foreign policy activity to engage in, especially with modern technology. Sites like LinkedIn, Facebook, and others let you network with people around the world for business, common interests, etc. The absence of the state simplifies the situation significantly: instead of a few people engaging each other with millions of lives on the line, people would just have to choose to be nice to each other or suffer relatively minor social consequences. Trade is really a faux element of foreign policy. While governments obviously do buy things, the vast majority of economic activity is done by private individuals and companies. Governments often interfere in this trade (in the name of foreign policy, usually) with tariffs and other restrictions. In the absence of a state, individuals would be free to choose with whom to trade. If you wanted to punish a group of people by declining to engage in commerce with them, that would be your prerogative. I suspect that this sort of thing would be much less common in a stateless society since it mostly happens only by force under the current paradigm. Governments often undertake humanitarian action as part of their foreign policy. However, as with everything else, private entities do it better and more efficiently. Organizations like the Red Cross and the Free Burma Rangers engage in humanitarian action far more efficiently than governments can or will. Also, without huge portions of income being stolen through taxation, people would have more resources to share voluntarily. Better yet, they’d have more resources to create and grow enterprises, multiplying resources so many fewer people would need charity. Military action is possibly the most apparent aspect of foreign policy, and also the one most would assume is the exclusive province of states. However, even now private citizens go to fight ISIS. Americans did the same in the Spanish Civil War. Others fought independently in the Cuban War for Independence. Some of these actions are of dubious legality now, and some might be of questionable morality as well. Both points could likewise be made about most wars initiated by governments. Naturally, in the absence of a state or states, the legal question would be moot, while the moral issue would become much more clear. Often, bad and pointless wars are blindly supported by people who would know better if they had to write a check or pick up a gun themselves. For an exciting budget film by a U.S. combat Veteran that explores this point indirectly, check out One Man’s Terrorist. In a territory without government, individuals would be free to be friends with whomever they wanted, trade with whomever they wanted, support whichever side of a military conflict they chose, and offer humanitarian aid to whomever they preferred. Also, without taxes, they’d have more resources to do these things. 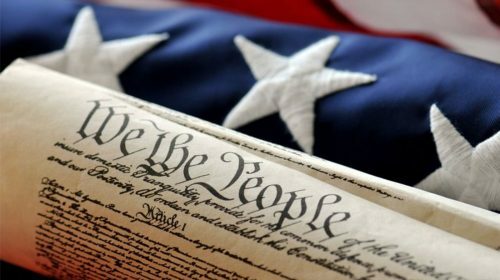 In my previous article on Foreign Policy, I discussed normative U.S. foreign policy in the context of the Constitution. In this article, I focus on a particular aspect of U.S. foreign policy when I posit that the U.S. should recognize Liberland diplomatically. I’ll briefly summarize the history of Liberland for those who are unfamiliar with this nascent state. On April 13, 2015, a Czech politician named Vít Jedlička created the Free Republic of Liberland on 2.7 square miles of terra nullius known as Siga on the western bank of the Danube River between Croatia and Serbia. The area had previously belonged to Serbia until the river’s course changed. Both Croatia and Serbia deny any claim to the region. Since then, notable developments include the following: several hundred thousand people have applied for citizenship, Liberland has signed a memorandum of understanding with Somaliland (a self-governing autonomous region of Africa with a democratically elected government), Liberland passports have been accepted in ten countries, and Liberland has signed a bilateral treaty with IIMSAM (the Intergovernmental Institution for the Use of Micro-Algae Spirulina Against Malnutrition), an intergovernmental observer to the United Nations Economic and Social Council. Seven members of the Polish Parliament have urged the Polish Ministry of Foreign Affairs to recognize Liberland. However, no member of the United Nations has diplomatically recognized Liberland. 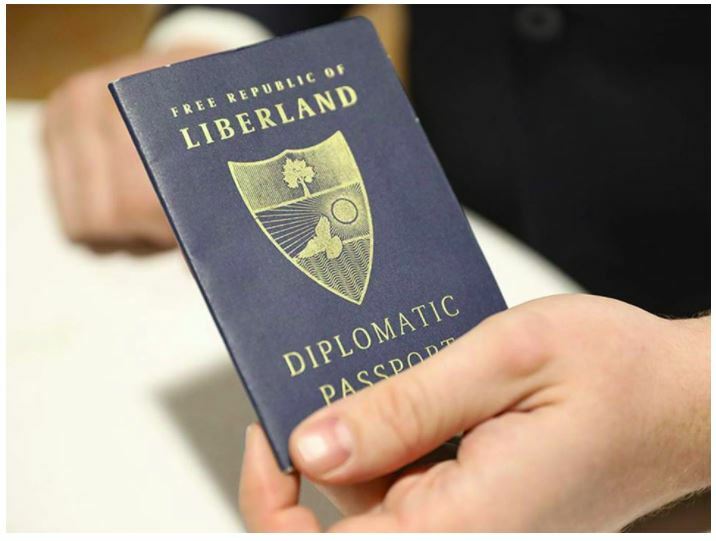 Liberland passports are recognized in more countries than those of the Turkish Republic of Northern Cyprus, which are only accepted by about six states, including notably the U.S., the U.K., and Australia. 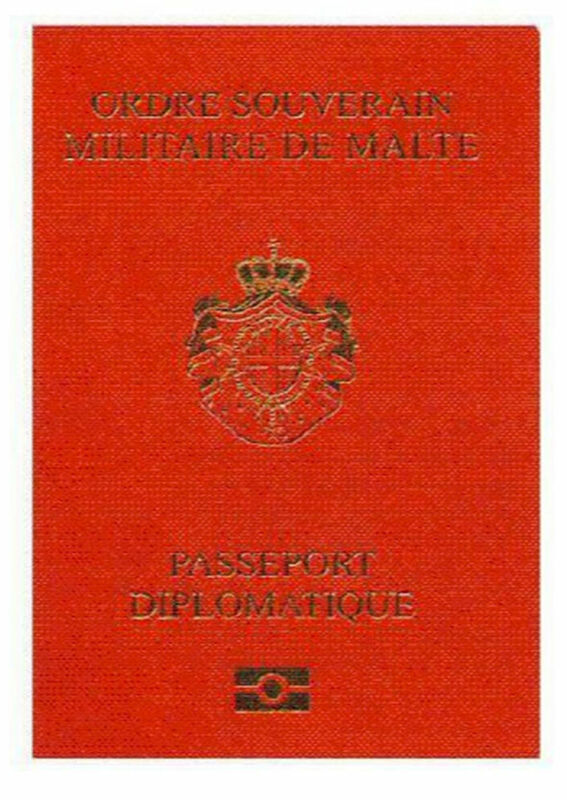 The Sovereign Military Order of Malta is a non-state with no land but with full diplomatic relations with over 100 countries, not including the U.S.
Liberland is geographically larger than two recognized countries combined: Monaco, and Vatican City. Recognition of Liberland would not infringe on any other countries’ territorial claims. The land traditionally belonged to Serbia, but they have forsaken any claim to it, saying that the new state of Liberland does not infringe on their territory. Croatia has also explicitly denied any claim to it, saying it is between Croatia and Serbia. 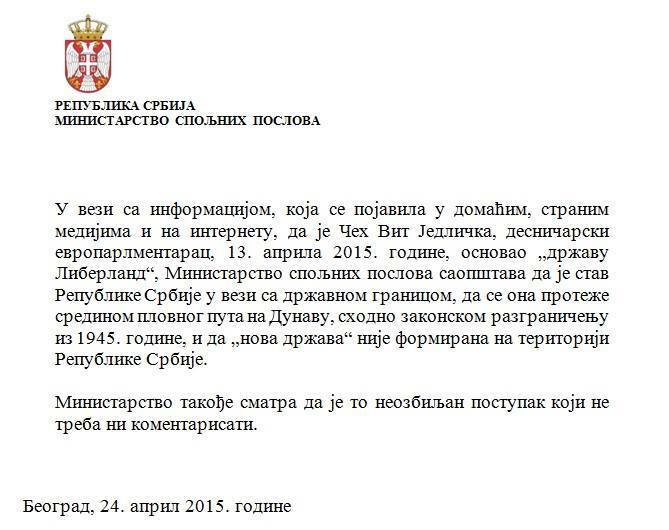 Image: Serbian statement that the “new state” of Liberland is not on Serbian territory. The U.S. is still a world leader, even as the empire is crumbling. It doesn’t need approval from others to recognize a passport or extend diplomatic recognition to a new state. 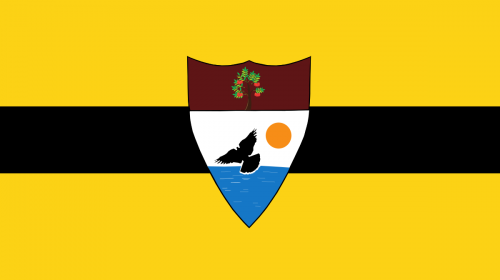 As a country founded on freedom, the U.S. should appreciate the kindred spirit of Liberland. Despite its increasingly strained relationship with the concept of freedom, citizens of the U.S. commonly believe themselves to reside in the freest country on the planet. Typically wars are justified by claims that they defend U.S. freedom or spread freedom or democracy. U.S. citizens should, therefore, support a country based on freedom — especially one intentionally founded on U.S. President Jefferson’s birthday. There’s no reason for the U.S. to continue denying Liberland full diplomatic recognition; there are plenty of reasons to recognize Liberland immediately. What Should Liberland Firearms Policy Look Like? Liberland is widely touted as a libertarian state. The motto, “To live and let live,” supports this idea. 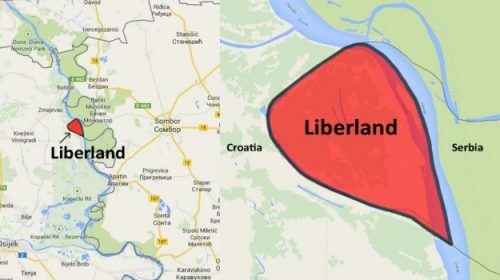 Liberland.org notes that “Liberland prides itself on personal and economic freedom of its people.” The current draft of the Constitution of the Free Republic of Liberland includes a guarantee of personal firearms freedom. Let’s consider libertarian gun policy objectively, and then we’ll see how Liberland stacks up to this ideal. A libertarian gun policy would involve a strict application of the zero aggression principle, and little to no government involvement. What would gun laws look like if these concepts were implemented correctly? Let’s take a look. What does a libertarian policy for firearms possession look like? Many jurisdictions require registration of some or all firearms. Other jurisdictions prohibit ownership of certain classes of weapons, such as semiautomatic pistols, fully automatic guns, or large bore rifles (above .50 caliber). Sometimes, a permit is required to own a firearm, and the permit can be a form of registration if the type of weapon or even the serial number is recorded in the permitting process. Often, membership in a shooting club is a prerequisite for firearms ownership. A libertarian policy on firearms possession would undoubtedly not involve firearms registration, de facto or otherwise. That would be too much government interference, with little to no actual benefit. (To say nothing of the risk of democide under a less friendly administration, but that’s another matter.) The prohibitions on classes of firearms would be nil, per the zero aggression principle: if you’re not hurting anyone with the weapon, why shouldn’t you be free to own it? Club membership would never be a condition of firearms ownership, as that would violate the zero aggression principle in the course of violating freedom of association. What does a libertarian policy for firearms transfer look like? Current laws and proposals in many countries require a background check before a transfer, or they demand that transfers be made only by or through a licensed firearms dealer. Certain classes of people are prohibited from owning firearms, and thus from having them transferred to them. Some jurisdictions restrict firearms purchases to one gun per month or impose a waiting period on the purchase process. A libertarian policy on firearms transfer would generally leave people free to buy, sell, or otherwise transfer firearms without government restrictions on spontaneous or frequent purchases. No license would be necessary to be in the business of selling firearms. Regarding individuals who may not be competent to own a gun: children, criminals, and the mentally ill, there may be restrictions within a libertarian framework. Children would be allowed to purchase firearms with the approval of their parents. Criminals who are free to walk the streets should be free to legally buy a gun for the lawful defense of themselves and their families, just like anyone else. If an individual has been adjudicated mentally incompetent or dangerous to themselves or others, they could be restricted from purchasing a firearm. A background check system could be made available to anyone who wishes to confirm that their potential buyer has not been legally determined mentally incompetent or dangerous. 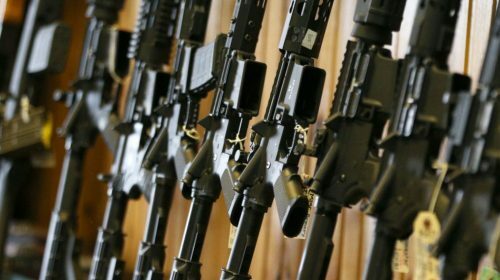 What does a libertarian policy for firearms components look like? Firearms components can be anything from an AR-15 upper receiver to a 100 round drum, to a full-auto drop sear. Under United States law, a full-auto drop sear used to be legal to own without restriction — but is now treated the same as an actual machine gun. Upper receivers are typically unrestricted, meaning you can buy them without paperwork, even having them shipped to your door. Magazines are often restricted based on their capacity, with 10 or 15 round limits being normal. A libertarian policy on firearms components would be very hands-off, with little to no government interference. All firearms components would be legal to buy, sell, or use, without restrictions. What does a libertarian policy for firearms accessories look like? Firearms accessories can be anything from an ammo carrier on a buttstock to an optic to a suppressor to a forward pistol grip. 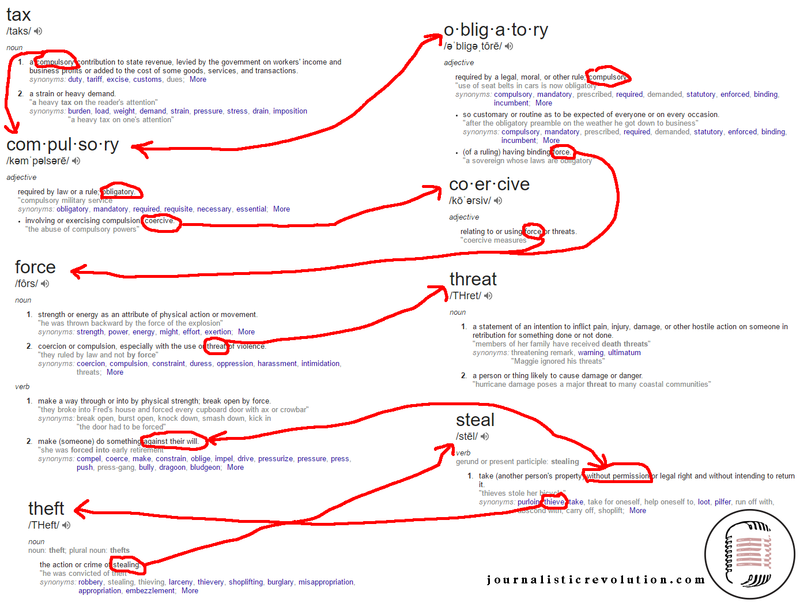 Different jurisdictions regulate these in various ways. Suppressors are often treated like firearms, or even as a particular, restricted class of weapons, even though they are just a firearm muffler. Other firearm accessories are legal to own and easy to buy, but they can only be mounted on certain weapons without doing paperwork and paying a tax, or they can only be used in specific ways. For example, under U.S. law a forward pistol grip can be mounted on a rifle, but not on a pistol, and a wrist brace can be installed on an AR pistol unless you plan to place it against your shoulder. Seriously. BATFE keeps vacillating on that one, so be sure to check the latest official letter if you want to avoid a SWAT raid. Of course, if you think Ruby Ridge or Waco were as good ways to go as any, then just enjoy pretending it’s still a free country. But, I digress. A libertarian policy on firearms accessories would involve little to no government involvement. Basically, there would be no policy on firearms accessories. Anybody would be free to buy, sell, or use them without restrictions. What does a libertarian policy for firearms carry look like? Firearms carry is typically divided artificially into two classes: open carry, and concealed carry. Some jurisdictions (like Florida) restrict open carry while leaving concealed carry freer; others (like Ohio) take the opposite tack by limiting concealed carry and leaving open carry unregulated. Sometimes, open carry is further divided between open carry of long guns and open carry of handguns. Typically, open carry of long guns is the least regulated method of carrying, whether because it is the least common (and thus forgotten by legislators) or out of deference to hunting traditions. A libertarian policy on firearms carry would enforce the zero aggression principle on all sides. So, you would be free to carry either long guns or handguns, either openly or concealed, so long as you refrained from pointing them at other people, or otherwise actually threatening them. Owners of a property would be entirely free to set policies restricting carry in whatever manner and to whatever degree they wished on that property, but these restrictions would have very limited legal consequences. Violating such a policy would be the most minor of civil infractions, requiring you to leave the location immediately, with no fine, probation, or jail time. We’ve seen how libertarian philosophy applies to firearms policies of possession, transfer, carry, components, and accessories. In short, the government would take a hands-off approach, minimizing interference, and refraining from criminalizing activities that don’t hurt other people. Now, let’s look at the Liberland Constitution and see how it aligns with this standard. Liberland Constitution §XIV.2. All Individuals shall have the right to own, manufacture, sell, transfer, transport, bear and use any small arms, as defined internationally, arms accessories or ammunition, be they historic, contemporary and/or experimental, regardless of condition; no form of licensing and/or registration shall be used to infringe upon these rights; the Person in charge of the premises shall determine whether arms may be carried on such premises except for Agents of Law Enforcement where acting pursuant to, and within the limits of, a Warrant. Looks like it holds up pretty well, overall. My main hesitation is that it only protects “small arms,” and furthermore leaves that definition to a nebulous and vague international entity or entities. One might reasonably assume that this clause refers to the UN definition, which excludes even an M240L machine gun. A nation founded on a libertarian conception of freedom can undoubtedly do better than this, but it’s clear that a sincere effort has been made. An early version of this article is published on MisesUK.org, and this article has been published on LiberlandPress.com. II Thessalonians 3:10: For even when we were with you, this we commanded you, that if any would not work, neither should he eat. 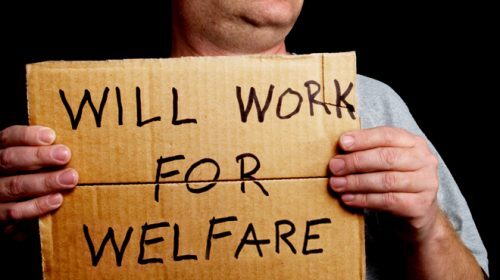 In my last article, I discussed how the U.S. is a welfare state, what that means, and how it violates the principles of Freedom and Responsibility. 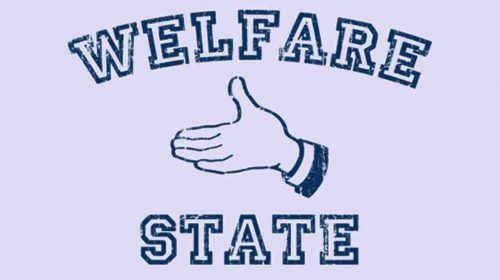 However, one might ask how those currently on welfare would survive without the welfare state. It’s a valid question. There are many people who cannot live without either their current welfare benefits or some kind of replacement. If those benefits disappeared, what is to stop them from dying? Today we’ll discuss the various alternatives to the welfare state that could or would appear in a more free world. Ephesians 4:28: Let him that stole steal no more: but rather let him labour, working with his hands the thing which is good, that he may have to give to him that needeth. Many people on welfare benefits don’t really need the benefits. I won’t say they’re lazy, necessarily, because they are just making rational economic decisions given the market distortions of the welfare state. That is, they can get more money by not working, than by working. Or, more by a part time job than a full time job. If the welfare benefits disappeared, these people would likely find gainful employment promptly. I Timothy 5:8: But if any provide not for his own, and specially for those of his own house, he hath denied the faith, and is worse than an infidel. This is part of the biblical model. People who have family who legitimately can’t work should take care of them. I note that family members are far more qualified than a career bureaucrat to identify genuine need as compared to indolence. I John 3:17: But whoso hath this world’s good, and seeth his brother have need, and shutteth up his bowels of compassion from him, how dwelleth the love of God in him? The church should be able to cover anyone else who is legitimately in need, and who doesn’t have a family to care for them. There’s no reason you can’t help someone out outside your church who isn’t related to you. I think this would be much more widespread if taxes were lower and the welfare state didn’t exist. I know if I had 30% more of my income, I’d be quicker to help people. Back to the original verse… if you don’t work, you don’t eat. As you see, if the government weren’t stealing our money to give it to other people who may or may not legitimately need it, some welfare recipients would work for themselves, some would be helped by family or religious or nonreligious organizations, and some just might starve to death from their own laziness. I suspect the last category wouldn’t happen at all. Can you think of any other alternatives to the welfare state? P.S. I’ve received requests for action items — things you can do to make a difference, such as ways to contact officials directly. The best place I know of for that is DownsizeDC.org. Here and here are forms related to the welfare state that allow you to directly contact your Congressman on particular issues.